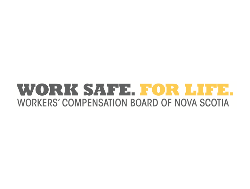 The Workers’ Compensation Board of Nova Scotia (WCB) is the province’s provider of workplace injury insurance. They inform and inspire Nova Scotians in the prevention of workplace injury, but when it occurs, they support those whose lives it touches, fostering a timely and safe return to work. They also provide caring, compassionate support in the wake of workplace tragedy.